Check out the cast of wacky characters of The Animal Kingdoms! Seeing as though The Viking Bunnies have a lot of sailing to do, they are bound to run into all sorts of silly characters who live within their own private worlds. 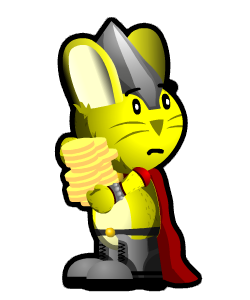 Not everyone is after treasure and adventure like The Viking Bunnies, and with conflicting ideals and priorities comes conflict itself. Are The Viking Bunnies going to find The Wild Sea as a friendly place, or as a place full of mean beasts and trecherous animals? The bold. The brave. The daring. The bunny who claims he is all of these things and more! 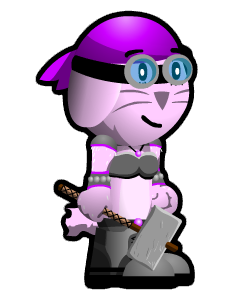 A self-proclaimed mastermind and know-it-all of The Wild Sea, there isn't a thing that Fuzzy doesn't think he knows everything about, which tends to get the bunnies ear-deep in trouble. Becoming a viking was really all Fuzzy's idea for he longed to shed his 'Farm Bunny' title and become something greater in the world. And yet, Fuzzy doesn't seem to really have any idea what a viking is. Longing to become a legend and famous on the seas, Fuzzy convinced his pals Lars, Steve, and Thora to join him. The rest is history. 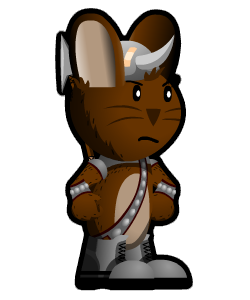 Trusted warrior, athlete, conspiracy theorist, and champion of logic and breaking the fourth wall, Lars is always up for adventure and ready to defend his fellow Viking Bunnies with his amazing skills and 'bunnyness'. Too bad no one seems to appreciate him or really believe he is as tough as he claims to be. 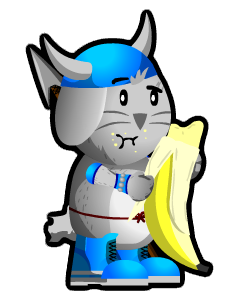 As Captain Fuzzy's first mate, Lars constantly finds himself questioning his captains's decisions as they seem to come from nowhere, which seems to keep Lars in a bad mood of which he cannot escape. Lars also tends to question Thora's so-called science for Lars doesn't seem to believe anything any 'textbook' has to say (yet he is quick to believe things he reads on the internet). There's danger around every corner and no one can be trusted as far as Lars is concerned, and he is the only one who can save us all from his imaginary peril. Be ready to be amazed by Thora. The smartest bunny of the bunch, Thora knows that the world is not a big and scary place but a place that simply needs to be explored and understood. Equipped with her trust hammer, goggles, various jars, maps, and a general lack of fear, there is nothing in the world that Thora doesn't want to know more about. Plus, if if wasn't for Thora, there wouldn't even be The Viking Bunnies for she built The Bunny Ship herself! A huge fan of all kinds of science (especially a legendary lizard named Eddie), Thora works hard to keep her foolish captain safe, her friend Lars sane, and her timid pal Steve from being scared of everything they encounter on their adventures. Just like Captain Fuzzy, Steve really has no idea what a viking is or that there are scary monsters beyond the safe farms where her grew up that wish to eat him. Yet also eager to eat something other than lettuce and carrots for the rest of his life, the food fanatic joined his pals and became a viking as well, longing to explore other lands and taste the foods they had to offer. But don't expect Steve to do much else other than eat for Steve is pretty much scared of everything. Lazy, naive, and generally uninterested in anything unless he can eat it, Steve is the last bunny to walk into the jungle and leave the safety of The Bunny Ship. However, he might go if bananas are involved. KING IVAN The King Crab *NEW! King Ivan of the King Crabs has become a good friend to Captain Fuzzy since Fuzzy and the gang first landed on their island not far from the shores of the Farm Bunnies domain. 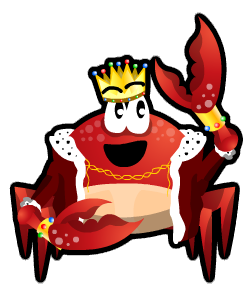 A lover of parties, sardines, and generally having a good time, The King Crabs are a very friendly race of animals who welcome all those who wish to share in their lavish events. Yet King Ivan tends to be quite aloof in his ways, forgetting that there is life off of Tidewater Island where people work for a living. Sometimes accused of being an elitist, King Ivan and his fellow King Crabs are sometimes considered reckless, pretentious, and a sometimes condescending. Sadly, they don't mean to be rude as all they want to do is have fun. Senor Spider is a very wise, no-nonsense spider who is always willing to lend a hand, especially considering he has eight of them. A traveler of the world (despite never offering an explanation as to how he travels), Senor Spider commonly pops up just when The Viking Bunnies need his help, or at least help that he can somehow provide. He is a bit of a wise-cracker, a goof-ball, but also has incredible knowledge of many of the islands on The Wild Sea. 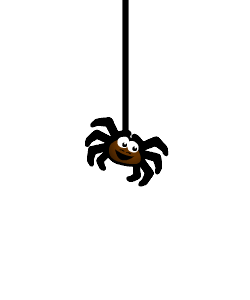 Senor Spider is very friendly, very quick, and also seems to be very popular among many of the other animal tribes throughout The Animal Kingdoms. Some see him as a sage or a wise prophet while others like The Viking Bunnies just see him as a really cool guy. Just don't try and hug him. CLAWS MCCATTERSON The Bureau Cat *NEW! While the rest of The Animal Kingdom seems to live in huts, desolate villages, and medieval towns, Claws McCatterson and The Bureau Cats live in the towering metropolis of Kittypup City, a huge city on a southern island protected from the 'savage' tribes such as The Pirate Pigs, The Ninja Hamsters, and The Frontier Foxes. 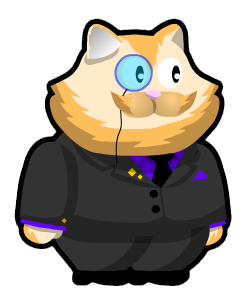 Claws McCatterson is posh, openly pretentious, educated in the art of being a business snob, and all about making money, buying, selling, and trading. Is he a friend or foe? Only time will tell.